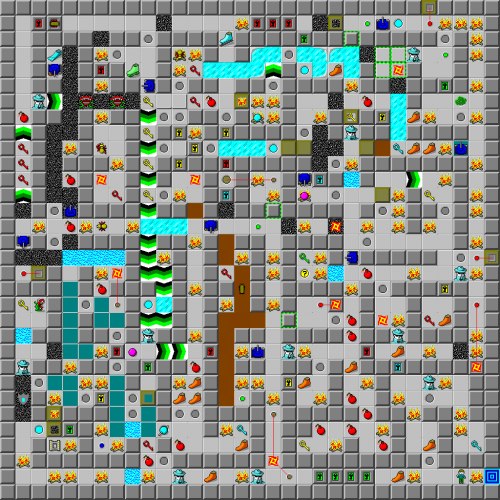 World of a Thousand Flames - The Chip's Challenge Wiki - The Chip's Challenge Database that anyone can edit! Now that you got the green key, go down the teleport and use it to escape! 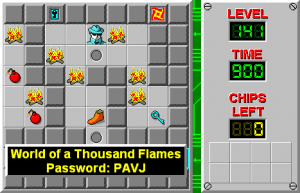 World of a Thousand Flames is the 141st level in Chip's Challenge Level Pack 4. It was created by Josh Lee, who based the wall configuration off of Amsterdam from CC1.